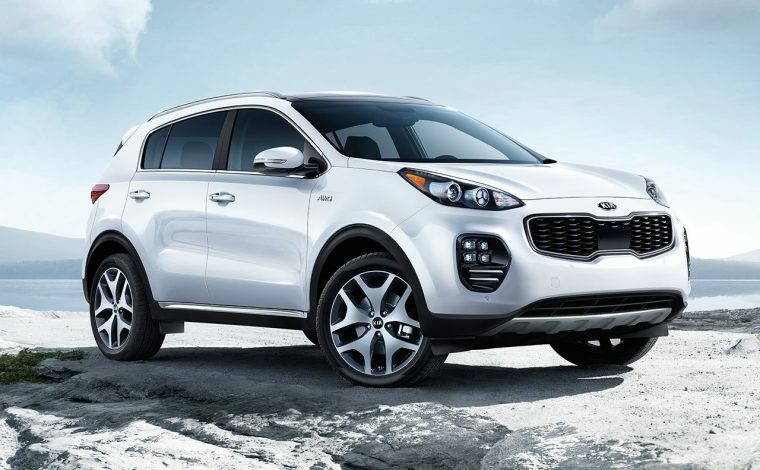 The 2019 Kia Sportage is the bold and smart choice when you enter the compact SUV segment. With refined spaciousness and advanced technology across all three trims, the 2019 Kia Sportage combines striking style with exceptional comfort for a fun and captivating driving experience. What’s New for the 2019 Kia Sportage? New features are hitting each trim of the 2019 Kia Sportage. The LX Popular Package now includes an air ionizer, auto defogger, full auto temperature control, and the UVO3 7-inch touch screen with Android Auto and eServices telematics. Plenty of features are now standard on the EX trim, such as heated, power-folding outside mirrors with turn signals; Piano Black High Glossy trim; and safety systems like Blind Spot Detection and Rear Cross Traffic Alert. The SX Turbo trim now has a standard Electronic Parking Brake with Auto Hold. Sweeping lines and sleek curves shape the outside of this modern compact SUV. 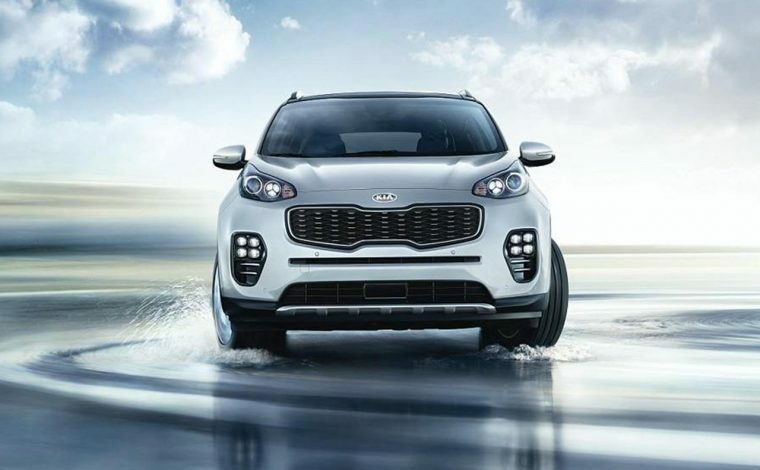 Its signature tiger-nose grille, coupe-like roof, and satin silver touches combine sophistication with sportiness, while available quad LED fog lights help the 2019 Kia Sportage make an unforgettable entrance. With these elegant features and dynamic styling, the 2019 Sportage is ready for any adventure. 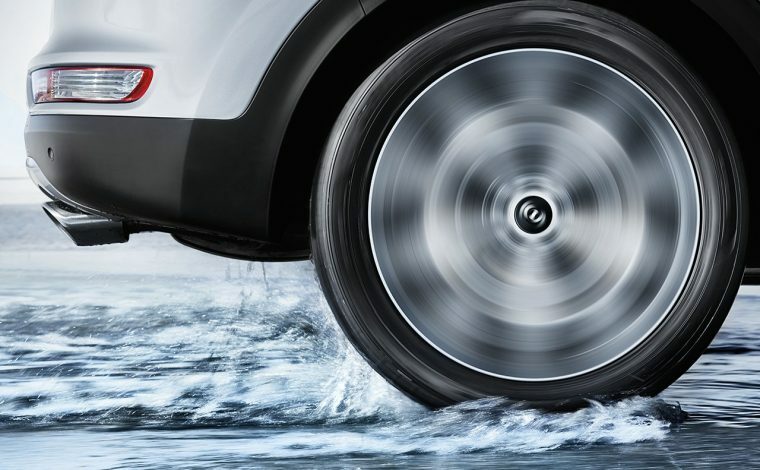 All 2019 Sportage trims are standard front-wheel drive, with Dynamax All-Wheel Drive system as an available option that adjusts the car’s traction as it senses changing road and weather conditions. You can pick between two engines on the 2019 Kia Sportage. The LX and EX trims come standard with a 2.4-liter engine that generates 181 horsepower and 175 lb-ft of torque. The SX Turbo trim features a powerful 2.0-liter turbocharged engine that delivers 240 horsepower and 260 lb-ft of torque in FWD. The horsepower on the SX Turbo trim dips a bit to 237 horsepower while the torque stays the same when equipped with AWD. All engines are paired to a six-speed automatic transmission that delivers a smooth and efficient ride. Just as with the 2018 Sportage, the new 2019 Kia Sportage offers similar fuel economy across all three trims. 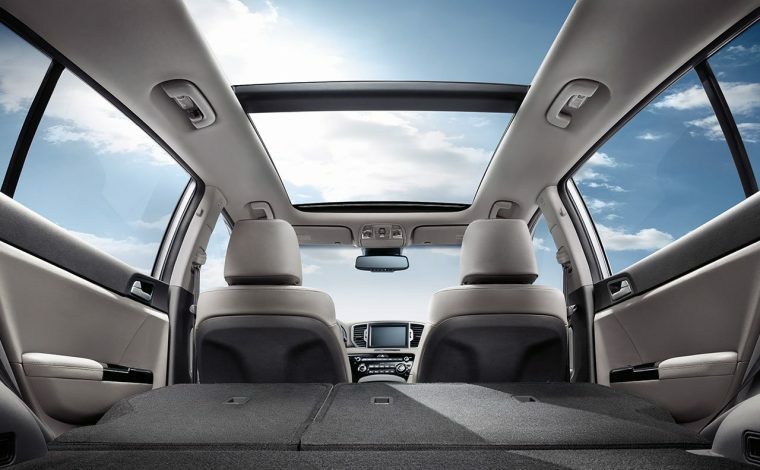 The cabin of the 2019 Kia Sportage exudes comfort, while its ergonomic layout makes driving easier than ever. Available features like Gloss Black interior trim, heated from seats, 10-way power-adjustable driver’s seat with lumbar support, and heated sport steering wheel deliver a luxurious driving experience. State-of-the-art technology keeps you connected and informed while on the road, with Android Auto and Apple CarPlay compatibility. 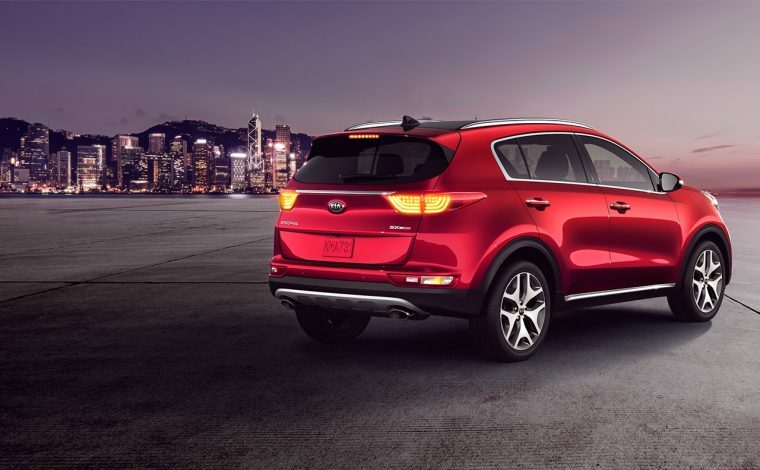 The 2019 Sportage is also committed to helping you out in every way, which is why it includes features such as the available Smart Power Liftgate. 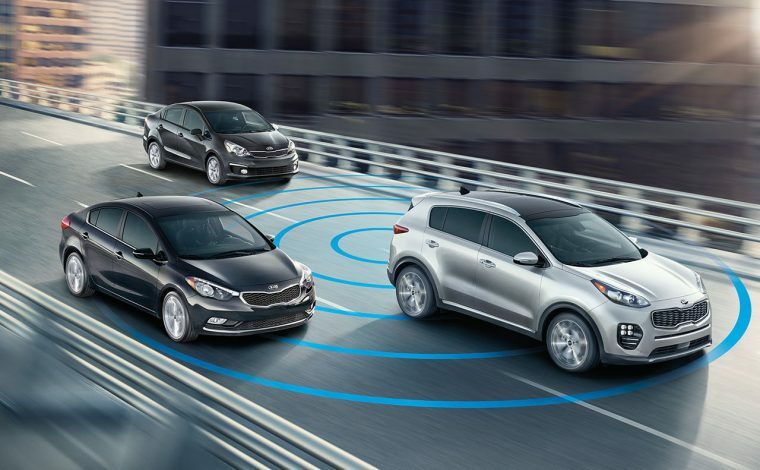 The 2019 Kia Sportage uses a long list of active and passive safety systems to help keep you safe on the road. 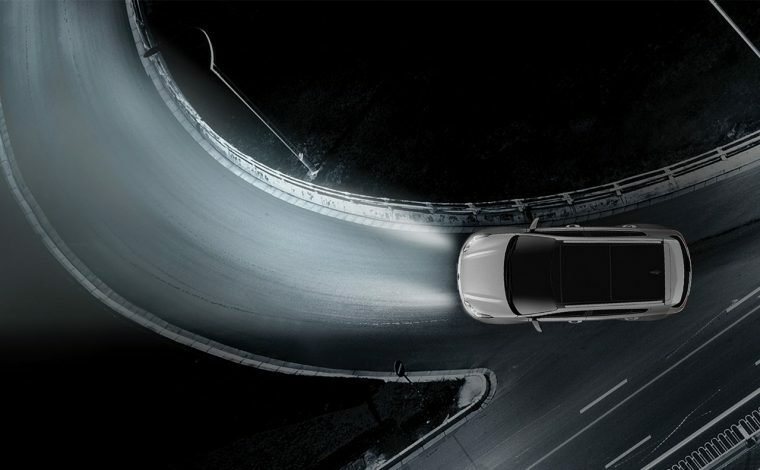 Available advanced driver assist technologies such as Blind Spot Detection, Autonomous Emergency Braking, Rear Cross Traffic Alert, and Front and Rear Parking Assist enhance your control on the road.